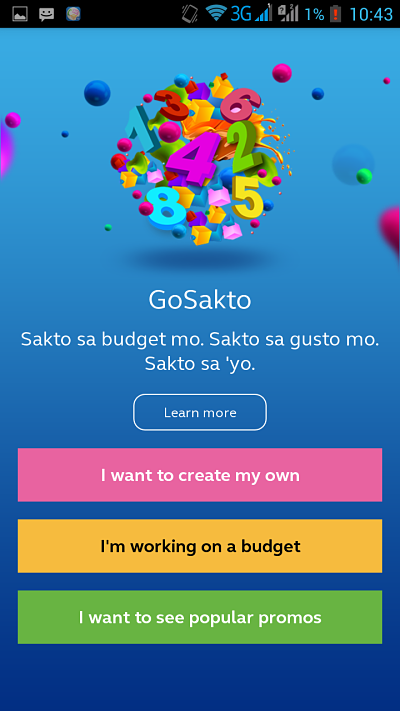 Globe Telecom released their newest app for GoSakto promo registration purpose. Say goodbye to the usual USSD code promo registration and say hello to this GoSAKTO App, just download it via Google Play Store and iTunes Apple App Store. You can now register, create and browse you favorite promos using this app, all need to do is install it on your Android or iOS phone then your good to go for any subscription you want. First, using this app needs internet connection to register and browse to popular Globe GoSAKTO promos. You cannot subscribe to any promo that you are going to create when you don't have data plan or no internet connectivity. This is one of the downside of this app and hopefully Globe will make a way to make it work in offline mode to avoid additional charges. App interface is just simple, within a minute you'll get the how to by just doing a trial promo combination. First thing to do when you want to use this app is to key in your mobile number, this will be the account used for all your transactions using the app. You'll received a SMS confirmation code then input that to verify your usage of GoSakto App. On the app home page you’ll see 3 options excluding the learn more button. First is ‘I want to create my own’, on this option you can create and design you own text, call and surf or even combination of 3 services. You can also set the duration or validity of your created promo with the corresponding total amount. Second menu is ‘I’m working on a budget’, going to this option lets you browse Swak-sa-Budget promos from 10 pesos budget up to P500. You’ll see the list of available services for your desired budget. Third is the ‘Popular promos’, you can browse to the list of widely used promos from all Globe subscribers nationwide. 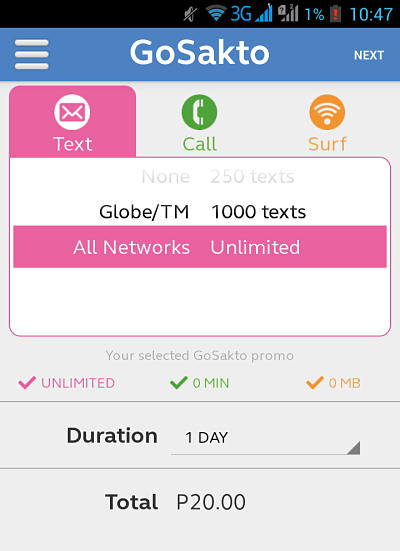 From 1 day up to 7 days and from text to combo with call and surf promo. 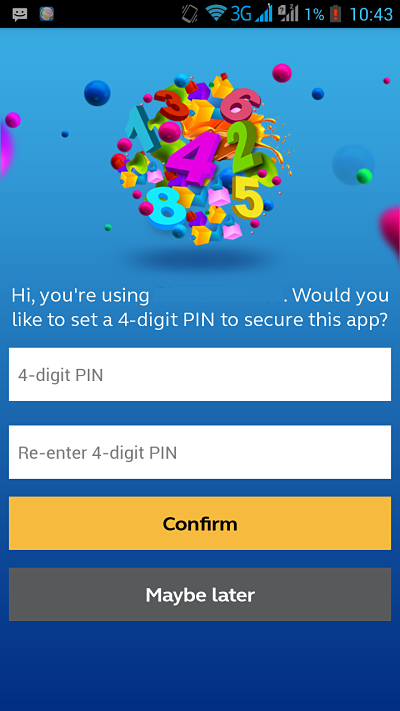 GoSakto app also has security feature with you can create a PIN every time you use it. This feature is important in case you lost your phone. 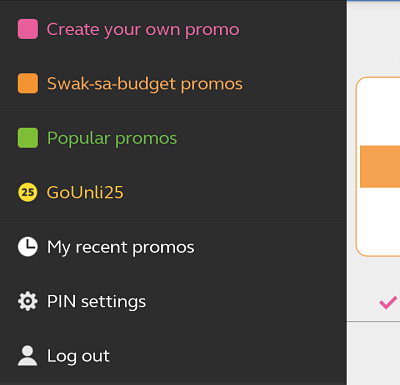 Globe now added one of your favorite promo GOUNLI25 for easy registration, this promo gives you unlimited calls to Globe/TM, unli FB and another social site for FREE to go with it (Viber, Instagram, Twitter, GoogleZone, Yahoo, or Foursquare).